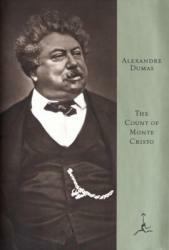 "The Count of Monte Cristo" by Alexandre Dumas is a fantastic whirl-wind of unforgettable characters and interweaving story-lines that left me awestruck and yearning for an even deeper glimpse into this world of treachery, romance, adventure, and mystery. This book is as deceivingly witty as it is over-flowing charisma and has nestled its way to a special place in my heart as one of my favorite novels of all time. The novel starts out with a scenic over-look of an Italian waterway in Marseilles as it carries along a lofty ship named Pharaon with one passenger in particular who is unlike any other named Edmond Dantès. A dashing young and honest man dawning with potential who has just returned with news that will change the course of his life, and the lives of many others, forever. He is falsely accused of traitorous activity and is sentenced to life on a prison located on an island off the coasts of Marseilles forcing him to leave behind his family, his friends, and the love of his life Mercédès. This marvelous tale unfolds within the walls of this prison and among its outer-walls as Dantès attempts to make a dashing escape with a kind mannered preacher. But, this is only the beginning of his tale. As the life of Dantès unfolds, so does the life of the many others who have been lucky enough to fall into his life. This novel is truly unforgettable as it follows not only the life of Edmond Dantès, but also the lives of his lover, best friend, family, and even his partners from his shipping company. Filled to the brim with treacherous plots, revenge, heartache, mystery, and pirating; it also contains young love, faith that knows no bounds, and families filled with the knowledge that blood truly is thicker than water. I would recommend this book to anyone looking to fall in love with not only a menagerie of unforgettable characters, but to a reader who is looking to fall head-first into a world that they will find themselves cherishing forever. 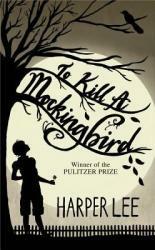 The novel “To Kill a Mockingbird,” by Harper Lee may strike your perception as a seemingly uninteresting story. The book tells the tale of two young children in a sleepy Alabama town, and at face-value, the plot does not garner much intrigue. However, I was in the same situation when I was required to read this book in the spring of my freshman year at high school. Indeed, while at first the story seemed boring, as I continued to carry on with reading, every turn of the page immersed me ever further into Lee’s timeless story. As a reader, you share the emotions felt by Jem and Scout, two young siblings, as they learn the nuances of life in the prejudiced American South during the early 1900s. 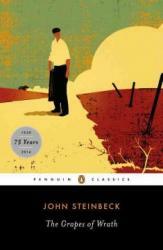 Not only was their community weakened by the economic collapse of the Great Depression, but also sickened by the bitter contempt felt among whites and blacks. In the beginning of the novel, Jean Louise “Scout” Finch and her brother Jem innocently play games with their friend “Dill” and enjoy life in Maycomb with their father, Atticus. During this time, they have little to no apprehension of the racial tension hanging in their society, but when their father, Atticus Finch, who works as lawyer, openly chooses to defend an African American in court, trouble arises. 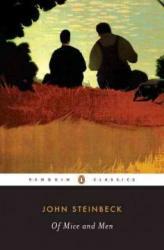 Jem and Scout undergo a number of personal developments during the course of the novel. While at first, they carry with them a genuine and child-like innocence, the court trial their father has taken on exposes them to the racist indignity felt by their fellow community members. Jem and Scout struggle to balance their conflict between the social norms of Maycomb and the morals their father has instilled in them. With the trial’s end, Jem and Scout are lead to discover the imperfections of their society, and the ways with which they are forced to deal with them. As the reader follows along, they not only watch Jem and Scout change, but they too themselves are shaped through Lee’s captivating story. Overall, I enjoyed most aspects of the book. Although some scenes I felt were a bit plain and unprogressive, these minor flaws were overshadowed by the powerful themes Lee expresses through the story. 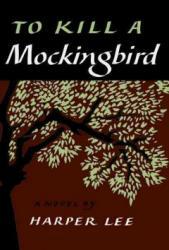 If you haven’t already read To Kill a Mockingbird, I would certainly give the novel a try. If not for the genuine enjoyment of reading the story, try this novel to feel the powerful emotions stirred from Lee’s literary masterpiece. After struggling my way through Pride and Prejudice and Zombies, I thought perhaps the next entry in the “Quirk Classics” line of books would be better. After all, it had a new co-author (alongside Jane Austen) and replaced the almost cliché zombie trope with the lesser-seen sea monster framing. Unfortunately, I once again found myself struggling through the archaic language of Austen’s time. Not only that, but I felt there was far too much talking and way too much nonsense, and that wasn’t even about the sea monsters. I’m starting to suspect that I just plain don’t like Jane Austen’s writing. Half of the book is practically filled with young women swooning over eligible bachelors, learning that these bachelors are engaged or married, and then becoming depressed because of this revelation. If they spent less time gossiping and more time communicating, perhaps they wouldn’t have these problems. Of course, I realize that this was probably an artifact of the era in which the original Sense and Sensibility was written, but it all seems pretty “senseless” if you ask me. 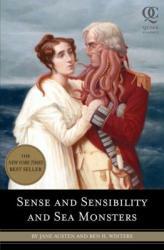 Speaking of senseless, this book certainly delivers on a lot of it, when it comes to the violence of the sea monsters. As was the case with Pride and Prejudice and Zombies, I feel Austen’s prose holds back the potential for a much more interesting story. Practically steampunk in its underwater cities and rudimentary diving systems, if this book was an original story, I think it would have been much more interesting to read instead of having to slog through another Jane Austen novel. Of course, most people probably wouldn’t have picked up such a novel, because they wouldn’t know what it’s about. Modifying a Jane Austen story merely gets readers in the door, but it seems like a lazy solution to gain sales instead of a way to create an engaging narrative. Another attempt at fusing Jane Austen with unnecessary violence, I give Sense and Sensibility and Sea Monsters 3.0 stars out of 5. Part of the problem of releasing a sequel to a beloved book 55 years later is a lot of other books have been written in between them. Consequently, there have been successful books written with some of the exact same plot and motifs, thus making the sequel feel like a rip-off instead of the other way around. In the case of Harper Lee’s Go Set a Watchman, I found myself drawing plenty of comparisons to Kathryn Stockett’s The Help (2009). While I felt the time-frame of Go Set a Watchman to be somewhat ambiguous, most of the similarities between it and The Help were in their heroines. Both were southern-born-and-raised women who smoked, were outsiders, and weren’t going to stand for racism. And while the main character of The Help did something about it, Jean Louise “Scout” Finch merely fell apart at the realization that everyone around her, including her closest family, was racist. Unfortunately, this makes for a pretty thin storyline, which was why defining moments from the last twenty years of Scout’s life are interspersed to fill in some of the character development. I almost wish there was a little more time given to the changes left unexplained in the 20-year interim, like what really happened to Scout’s brother. Despite its weaknesses, Go Set a Watchman does share some similarities with its predecessor, and not just in setting and characters. While I was about ready to completely brush this book off as another version of The Help, the monologues at the end of the book really made the read worth it. Much like the courtroom arguments for a man’s innocence in To Kill a Mockingbird (1960), the soliloquies of these characters were deep and probing and really made me think about my place in a society with its current racial tensions. 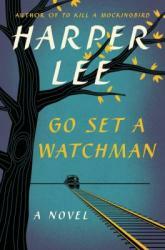 An adequate extension of its predecessor, I give Go Set a Watchman 3.5 stars out of 5. Hans Vollman died shorty before getting to consummate his marriage with his young wife. His spirit, full of regrets, stuck around the graveyard. The same is true for Mr. Blevins, who committed suicide because of his sexuality. No one really knows why the Reverend chose to stay in what amounts to purgatory, but he's there, and he mostly hangs around with Vollman and Blevins. Every night, those ghosts and more come out of their "sick boxes" to congregate. 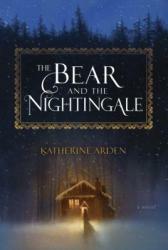 Until one night, a very special ghost arrives, and everything changes. Willie Lincoln arrives in the graveyard, and instead of immediately transferring to the "next place" as most young children do, he sticks around. 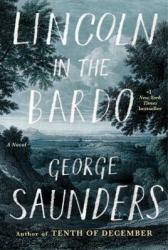 Lincoln in the Bardo follows the ghosts and their reactions to the younger Lincoln and his very special visitor, his father, the living sitting president, Abraham Lincoln. First, I listened to this book, and while the audio performances were stunning, it was initially extremely confusing for this listener. I had no idea what was happening for the first disk, and considered quitting the book entirely. However, after reading the synopsis on the back and a few online reviews, I stuck with it, and I'm glad I did. Like I said, the audio performances were stunning. Nick Offerman (Vollman) and David Sedaris (Blevins), in particular, deliver masterful performances. Along with exposition from the ghosts, there are interstitial segments that use actual quotes from newspapers and other sources from the time , and it's here that the narration goes into overkill. The audiobook features 160 narrators, and I think that instead of having a different person read each quote, the story would've flowed a little better had our narrator just read the quotes. The book itself is an interesting paranormal postmodern story that has elements of historical fiction that also takes a long hard look at death, grief, and coming to terms with one's lot in life. There's a lot going on, but after the first sixth of the story, I was hooked, and I really started to care about Blevins and particularly Vollman. This book is short on plot, but that's not the point. 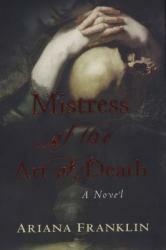 This is a character study that also examines life, death, and whatever might lie in-between. As the book is set at the beginning of the civil war, there are some heartrending accounts from the ghosts of slaves, and some maddening accounts from dead confederate soldiers. The book is a bit of an emotional roller coaster, but as I like books that make me feel things, that wasn't a problem for me. This book will make most people feel something, be it ire, or sadness, or confusion (it's been a while since I've read a postmodern book, and the format was occasionally jarring). While this was at first a difficult listen, I ultimately ended up enjoying it. I would recommend reading the book, and then revisiting it as an audiobook to enjoy the fabulous performances. A challenging, but worthy read. 3 stars - I liked it. Beautifully written - the book explores love, loss, and moving on in a way that doesn't feel like it should be a young adult novel. Set in 17th-century Amsterdam, the book follows the life of young bride, Nella Oortma, and her marriage to the wealthy merchant trader, Johannes Brandt. Johannes is kind but distant, leaving Nella feeling alone in his large estate. Nella receives an elaborate wedding gift from Johannes—a cabinet-sized dollhouse replica of the Brandt estate. 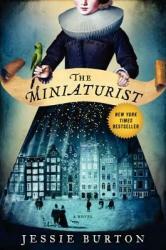 Nella’s life takes a mysterious turn after she employs a local miniaturist to furnish the tiny house with replicas of the residents of the estate. 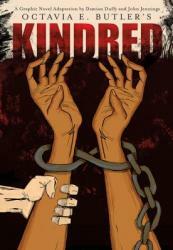 I enjoyed the book and found it to be a fast read. The author’s rich description of people and places made the Old World setting come alive. Every chapter, the reader is reminded that not everything is what it appears to be. A metafiction novel documenting the struggles of a young misinformed thirteen year old, Atonement by Ian McEwan provides an intense glimpse into the power of lying and the consequences resulting from deception. Briony, a British girl in the early twentieth century witnesses a crime she twists in order to fuel her intense jealousy. Her eagerness to fulfill her own desires corrupts and destroys her sister Cecilia and Robbie’s romantic life and Robbie is whisked away into World War II. 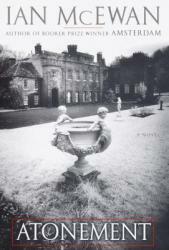 Within the last chapter of the book, current Briony reveals the truth about her manipulation of the book in order to immortalize the love between Cecilia and Robbie, both who die as a direct result of Briony’s lies. I would recommend the book to anyone willing to read deeper and not take everything written on page as the truth. Those who enjoy deep, complex, twisted plots would be captivated by Atonement. The seriousness of the crime and depiction of the same scene from multiple perspectives limits the prospective audience to those high school and older. Despite the book’s intriguing start, the ending infuriates many as Briony lifts the curtain to reveal her distorted depiction in order to repent for her guilt. Atonement fortifies the pang of a guilty conscious and the powerful repercussions that result from lying. Set in the 1920’s, this is the story of Jack and Mabel, a childless couple homesteading on the Alaskan frontier. The workload is never-ending, and without children to help with plowing, planting and harvest, they struggle not only to survive, but to avoid losing themselves to despair and disappointment. It is a story not only of survival and grit, but also of the kindness found in a community of like-minded individuals and families. This theme is typical of much historical fiction about western expansion and pioneer life, but this story holds an unexpected and delightful twist, where magic, reality and fairytales intersect. The first snow of the year is met with a playfulness that is not typical of Mabel and Jack. They end their snowball fight by building a snow-child near their cabin, complete with mittens, a hat, and arms made from twigs. 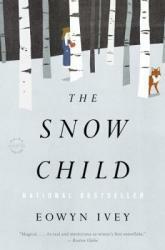 The next day, they discover that their snow child was destroyed during the night – likely by wild animals. Their journey from that point is full of hope and expectation. The story has a dream-like, ethereal quality, yet the author maintains the sense of solidity that is required for historical fiction to work. The pace is slow, but fits well with the time and place. 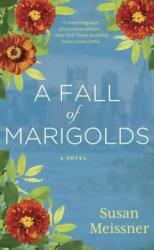 I sincerely enjoyed this author’s first novel. It made me think about the importance of accepting others as they are – always an important consideration. I have Eowyn Ivey’s second book in my “to read” stack right now, and will eagerly read her future offerings. The Mortifications follows the Encarnacion family from Cuba to Connecticut and then back to Cuba again. Soledad's husband, Uxbal, is heavily involved in rebel groups resisting Castro's regime. She doesn't want her children growing up in that environment, and eventually she decides to take them and leave for America without her husband. Uxbal tries to hold her daughter Isabel captive, but she threatens to cut his son's throat if he doesn't let her take both their children. They escape successfully, but the incident leaves deep scars on everyone in the family. Soledad eventually begins a new relationship with Henri Willems, a Dutch man trying to cultivate Cuban tobacco in the US, and all the while she and her children drift further and further apart from one another as they try to adjust to their new lives. 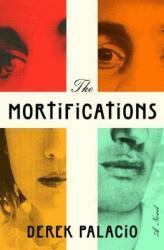 The Mortifications is a leisurely-paced book and it draws rich portraits of all the characters: Soledad, who takes her children from Cuba to America to protect them but finds herself haunted by a lost marriage and country; Isabel, who took a vow to her father to remain chaste until she could have rebel children for his militia, and who later joins a convent in an effort to keep this vow; Ulises, a student of classical literature who feels abandoned by his mother, father, and sister alike; Willems, who is haunted by the idea that his tobacco holds the ghosts of the slaves his family once owned in Haiti; and many more minor characters who are written with equal depth and sympathy. It was a genuine pleasure to read -- beautiful writing, very introspective, and with enough humor to keep it from being too relentlessly depressing. That being said, it's a very (and I mean very) slow-paced book and is focused more on the internal lives of the characters than any cohesive plot, so that might be frustrating to readers looking for something with a little more structure. I would give it 3.5 stars, in large part because the writing was absolutely gorgeous. The Rosignol sisters, Vianne and Isabelle, have never been close. Each has learned to survive a traumatic childhood in her own way. On the eve of World War II as Hitler’s forces are invading France, Vianne remains in the family home with her daughter and waits for her husband’s return. Isabelle, young and head-strong, decides to play a more active role in fighting the Nazis. Over the course of five years, both sisters experience the horrors of war, fight for survival, and play a part in saving others. In the process, Vianne and Isabelle find their way back to each other and reconcile their differences. Whether or not you are a fan of historical fiction, you will become deeply involved in the lives of these two sisters. 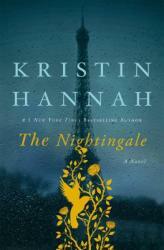 The Nightingale, while sentimental at times, will touch your heart and leave you longing to learn more about these two remarkable women. This is another telling of Jane Austen's "Pride and Prejudice". 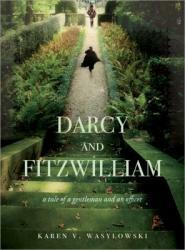 This story follows the trails and tribulations of the famed courtship from the point of view of Mr. Darcy and his cousin, Col. Fitzwilliam. 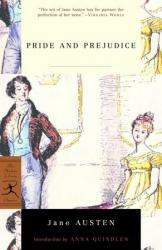 Fans of "Pride and Prejudice" will enjoy receiving more insight into the classic romance. Set in medieval England, Adelia, a female surgeon, is hired by King Henry II as a forensic expert to investigate a series of murders taking place Cambridge. 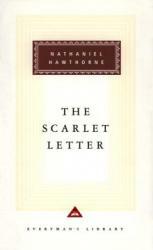 Even though it is a fictional novel, Franklin adds lots of historical details to the story, creating multiple layers to the plot. The murders are not the only mystery in this story, the characters themselves have their own veil of intrigue making the story all the more exciting!